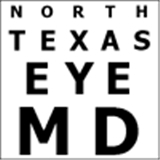 North Texas EyeMD (Frisco) - Book Appointment Online! Welcome! My mission is to provide the highest quality eye care and optimal healthcare experience. You have a choice in your selection of physicians. My goal is to make that choice easy for you. Every decision you make regarding your eyes, no matter how big or small, should come with a full knowledge of your options. My job is to educate you on those options to empower you to make the best, well-informed decision. Whether it is a decision on medical care, cataract surgery, types of lens implants, laser vision correction, contact lenses, or even what type of glasses to buy, you will have all your options presented along with the risks and benefits of each. Dr. Goldsberry was exceedingly professional while still being very personable. He and his assistant made me feel very comfortable. They worked quickly an efficiently, but not once did I feel rushed. I have an additional medical condition that could affect my eyes, and Dr. Goldsberry took the time to really explain what to watch for, how symptoms could manifest, and made sure I felt at ease. He gave me details about what we'd do in a hypothetical situation so I could know what to expect if/when it happened. He was honest about the possibility of complications, but reassuring that it was all manageable. Definitely recommend.